Turn your street carb into a high-performance carb in less than 30 minutes! 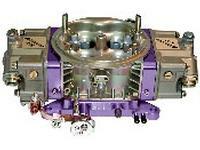 Add up to 25-50 HP with Proform's 100% NEW High-Performance Carb Main Bodies. Upgrade your carb. 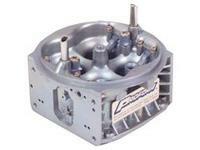 This Billet Throttle Base Plate comes with button torx head throttle plate screws, adjustable secondary air flow cam bracket, times and full vacuum tubes for accessories and tuning, slip link mechanical secondary linkage, and power valve blow out protection. 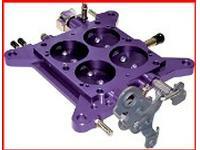 Further enhance the performance of your PROFORM high flow main body with billet metering blocks. 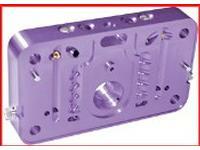 Machined from solid aluminum, virtually eliminates porosity problems, and will not warp. 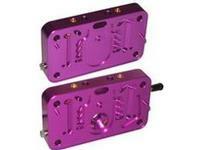 Features changeable idle feed restriction with additional upgrades available for racing applications.